Russian folk medicine recommended a mixture of dried SAGE, KNAPWEED and CAMOMILE flowers for all digestive disorders (Kourennoff). Just chewing the leaves of knapweed was taken as a cure for diarrhoea in Britain (Page. 1978). 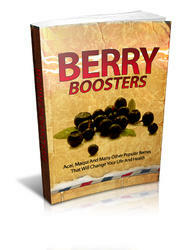 BILBERRIES are very astringent, and are still sometimes prescribed by herbalists for diarrhoea. A syrup from the blue berries of MYRTLE was taken in the Western Isles, a spoonful at a time, for flux (Martin), diarrhoea in modern terms. Both the leaves and root bark of BRAMBLE contain a lot of tannin, and so are astringent enough to be useful in stopping diarrhoea. QUINCE-seed tea is an American country cure for the complaint (H M Hyatt), and another American remedy is the bark tea of CHOKE CHERRY (H H Smith. 1923). A strange use of BEETROOT is recorded in Corfu, where a small bottle of beetroot juice is corked and put in the heart of an uncooked loaf of bread. The bread is baked, and the bottle removed and then the medicine is drunk in small doses on successieve days for dysentery or diarrhoea until the patient is cured (Durrell). A tea made from dried CAT'S FOOT is also recommended for the condition (Fluck). Africans powder the root bark of WATER MINT, to be eaten for the relief of diarrhoea (Watt & Breyer-Brandwijk), and herbalists use it for this all over the world. Any astringent would do, like ALUM-ROOT (Heuchera americana), still an American country remedy for the complaint (H M Hyatt). SPEARMINT tea is a great favourite, too, used for the purpose by American Indians like the Miwok (Barrett & Gifford), and still prescribed by herbalists for stomach upsets and diarrhoea. Gerard described it as "marvellous wholesome for the stomacke". Country people in Ireland would tie a sprig round the wrist for the complaint (O' Farrell), and RHUBARB roots boiled in a little water is another Irish (County Cavan) cure (Maloney). TORMENTIL stewed in milk was another Irish remedy for diarhoea (Foster). Gypsies, too, use an infusion of the leaves for the complaint (Vesey-Fitzgerald), and a similar use has been noted in Fifeshire, too (Rorie). Gerard, too, advised the use of powdered leaves of this plant, especially if they are given "in the water of a smith's forge, or rather the water wherein his steels hath been often quenched of purpose". CINQUEFOIL will do as a substitute (Fluck), though Tormentil is much more effective, and the root of AVENS is also effective. Gypsies would use the crushed root for the purpose (Vesey-Fitzgerald), but actually it is quite common as a herbal cure for the condition and for similar ailments (A W Hatfield).